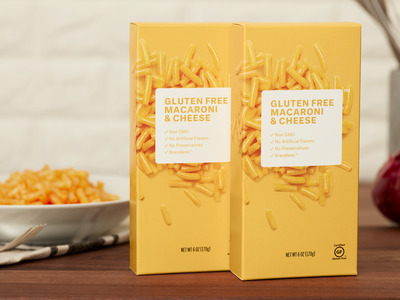 BrandlessMany of Brandless’ food items are gluten-free and organic. A new startup is making a bet that you don’t care as much about the brands you consume as you think. Brandless, pitching itself as the “Procter & Gamble for millennials,” offers a host of essential consumer items for a single low price of $US3. Instead of a big logo emblazoned on a product, the actual attributes of the product are listed on the package instead. Starting today, customers will find everything from dish soap to olive oil for sale on the site. 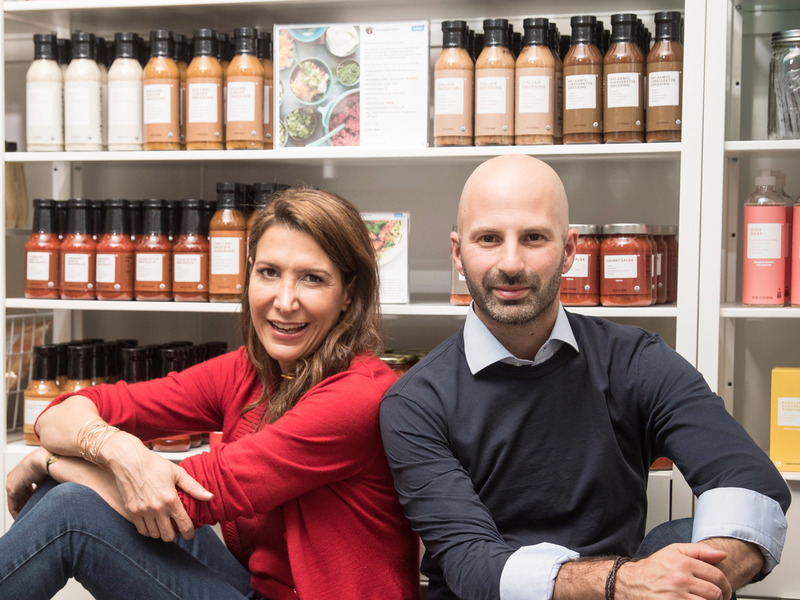 Brandless was created in 2016 by Sherpa Capital venture partner Tina Sharkey and entrepreneur Ido Leffler. The brand just closed a $US35 million Series B round led by New Enterprise Associates, which brought the startup’s total venture funding to $US50 million. Investors include Cowboy Ventures and Google Ventures. The idea, in a nutshell, is “democratizing access to awesome stuff at really fair and affordable pricing,” according to Sharkey. The name of Brandless’ game is simplicity. There are only two real choices to make on Brandless’ website: What do you want, and how much of it do you want? 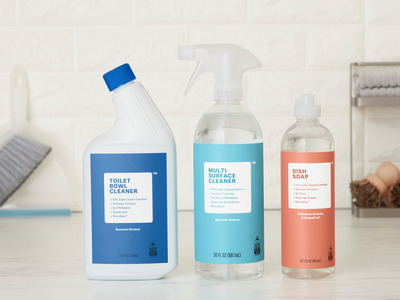 BrandlessIn addition to food items, Brandless offers cleaning supplies, kitchen utensils, and personal care products. Everything in the launch collection, known as the “essentials,” costs $US3. Some of the food items are gluten-free, organic, and fair-trade, and all of them are all-natural. These were the qualities that founder Sharkey said were becoming “mainstream” in America, but were still hard to find for a fair price on the shelf. Items like baking tools and chef’s knifes are also on offer, and they still cost just $US3. Some of the cheaper items are bundled together to reach a fair price. The $US3 price was chosen because the founders saw it as a middle point between value and quality, and they theorised that fixed pricing makes consumers feel at ease. 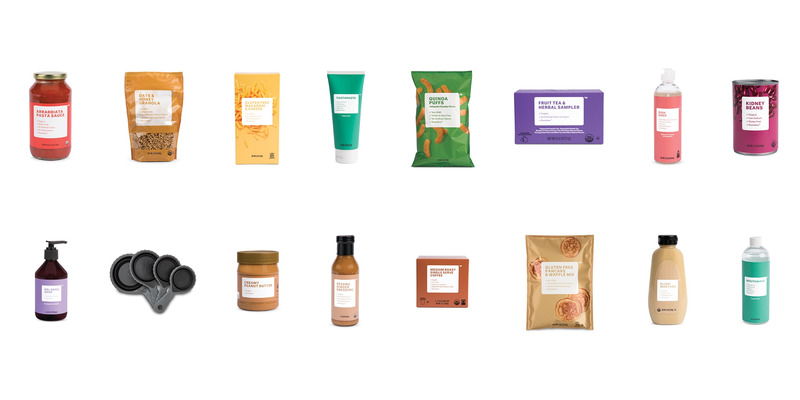 They also said that Brandless is currently developing other lines at different fixed price points, but with the same value proposition as the “essentials” line. All of Brandless’ products are unique to the brand and private label, and they’re conceived with manufacturing partners. They’re cheaper becuase they’re free of a “brand tax,” the founders said. When consumers buy from Brandless, they aren’t paying more just for a name brand, similar to buying generic at the grocery store. “It widens the door and the entry point for virtually everyone to be able to start to buy their values, share their values, and live and eat their values in a way that has been inaccessible and prohibitive for most people living on average wages in this country,” Sharkey said. BrandlessEvery item on the website is $US3, but some cheaper items are bundled to reach that price. There’s also only one choice for each individual item, which the founders say prevents shoppers from being “paralysed” by choice. The idea for the company came as the founders looked at how consumer behaviour has changed, and how many name brands are struggling. “The false narrative of modern consumption, that brands have created and products have created, was actually dying a fast and painful death,” Sharkey said. Brandless’ model acts as the opposite of a model employed by ecommerce giants like Amazon and Jet.com, where the price varies considerably based on an algorithm and whether you choose free return shipping, respectively. Instead, everything is a reliable, fixed price regardless of when you’re shopping and what experience you’re looking for. BrandlessBrandless founders Tina Sharkey and Ido Leffler. Brandless is also offering a subscription service called “B.More.” The membership, which runs $US36 a year, lowers the free shipping threshold from $US72 to $US48. For all other orders, a flat shipping rate of $US9 is charged. The founders promised more benefits for B.More members, including a donated meal to the nonprofit Feeding America, in addition to the donation that is already made after each Brandless transaction.